PARLIAMENT: Bank of Uganda (BoU) Deputy Governor Louis Kasekende has written to the Speaker of Parliament, distancing himself from claims that he owns several land titles as alleged by Aruu South MP Odonga Otto. Last week, Otto tabled before a Parliamentary committee that is investigating the closure of commercial banks 75 land titles which he claimed are owned by Dr Kasekende. The legislator was making case for action against the Deputy Governor and other Bank of Uganda officials, accusing them of misappropriation of funds during the course controversial closure of Crane Bank and six other commercial banks. But in a letter to Rebecca Kadaga on Tuesday, Dr Kasekende said 23 of the 75 titles belong to other people, 12 of which belong to one Moses Musitwa, whom he also denied knowledge of. “The said Moses Musitwa is not and has never been my driver as alleged. He happens to be a person who once bought 1.4 acres of land upcountry from me, a search of which points at his having subdivided the said land into 12 plots,” his letter reads in part. Dr Kasekende added that 9 of the plots are owned by members of his family, who he said are capable of owning land/property in their own right. He said that 9 land titles are owned by his brother Herman Kasekende while another 3 land titles are owned by Martin Kasekende, the Deputy Governor’s brother. 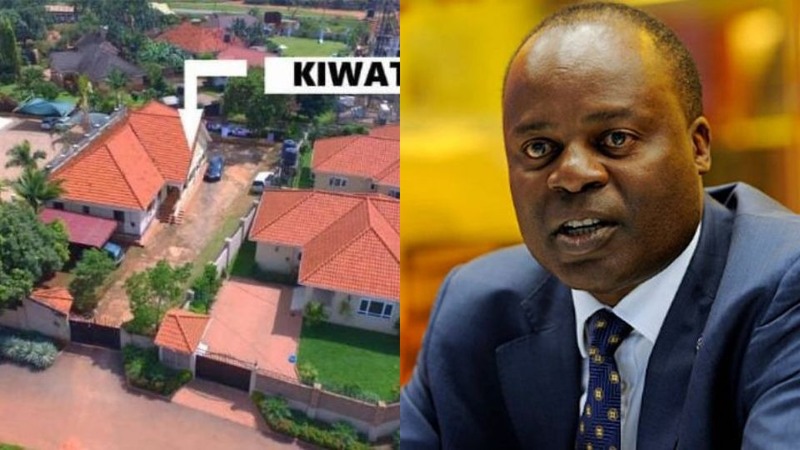 2 land titles are owned by Harriet Kasekende [Deputy Governor’s sister] while another 2 land titles that comprise 1 land titles are owned by George Kasekende, according to the Deputy Governor’s protest letter. Mr Kasekende said 2 land titles are owned by the estate of his father, the late Benedict Kasekende, which constitute the Kasekende-Family ancestral home, jointly owned by the family. 2 land titles that comprise 1 land titles are owned by George Kasekende, the Deputy Governor claimed. The Deputy Governor also wrote that “2 alleged land titles that comprise 1 land titles(listed twice) was once owned by his wide but was sold 13 years ago. Mr Kasekende protested that some of the titles were listed twice. It was not possible to readily establish the facts as a 3-man special sub-committee of Cosase is also conducting an inquiry into the properties in question. “For the record, the sale of the residual loan portfolio to a Mauritius Company, Nile Rover Acquisition in 2007 mentioned by Hon Otto as justification for his inquest into my wealth happened when I was at The African Development Bank and thus not an employee of Bank of Uganda,” Mr Kasekende wrote. “A review of the documents received from Cosase reveals that all the information relating to the operation of the bank accounts in the joint names of Louis and Edith Kasekende or in the name of Edith Kasekende was based on false/forged documents. It is very unfortunate that such documents were submitted to support such serious allegations against me,” Mr Kasekende wrote.